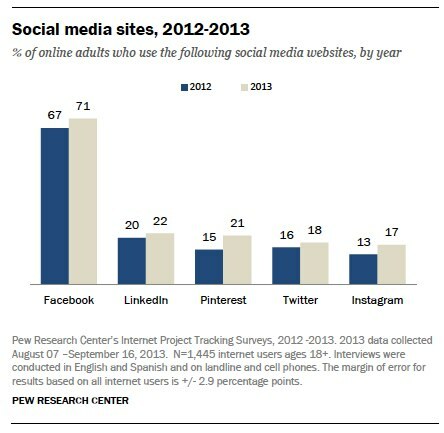 Almost three-quarters of US adult Internet users (73 percent) now use a social networking site. Furthermore, some 42 percent of online adults in the country now use multiple social networks. What may be surprising to some, however, is that more Americans who are online use Facebook than the next three most popular social networks. While Facebook has a 71 percent penetration rate, LinkedIn, Pinterest, and Twitter combined add up to just 61 percent. Pinterest managed to gain the most percentage points, moving up from 15 percent to 21 percent between 2012 and 2013, and passing Twitter to grab third place, placing just behind LinkedIn. Facebook and the Facebook-owned Instagram both gained 4 percentage points while LinkedIn and Twitter gained 2 percentage points. Pew noted that while Facebook manages to remain popular across a diverse mix of demographic groups, it still leaves quite an opening for other sites to develop their own unique demographic user profiles. 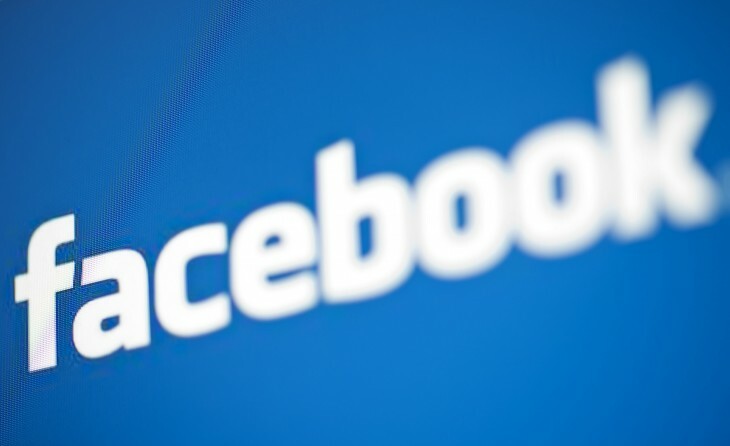 Put simply, Facebook is for everyone and everything else is for everyone else. Pinterest continues to appeal to female users (women are four times as likely as men to be Pinterest users), and LinkedIn is especially popular among college graduates and Internet users in higher income households. Meanwhile, Twitter and Instagram have particular appeal to younger adults, urban dwellers, and non-whites. Yet Facebook isn’t just the most popular social network: it also has high levels of engagement among its users. 63 percent of Facebook users visit the site at least once a day, with 40 percent doing so multiple times throughout the day. While Instagram and Twitter have a significantly smaller number of users, their users also tend to visit them frequently. 57 percent of Instagram users visit the site at least once a day (35 percent do so multiple times per day), and 46 percent of Twitter users are daily visitors (29 percent visiting multiple times per day). Pew’s study was conducted between August 7 and September 16 by surveying 1,801 Americans aged 18 and older. The organization pegs the margin of error at plus or minus 2.6 percentage points for the total sample and 2.9 percentage points for Internet users. You can read the whole 17-page report here: Social Media Update 2013 (PDF).